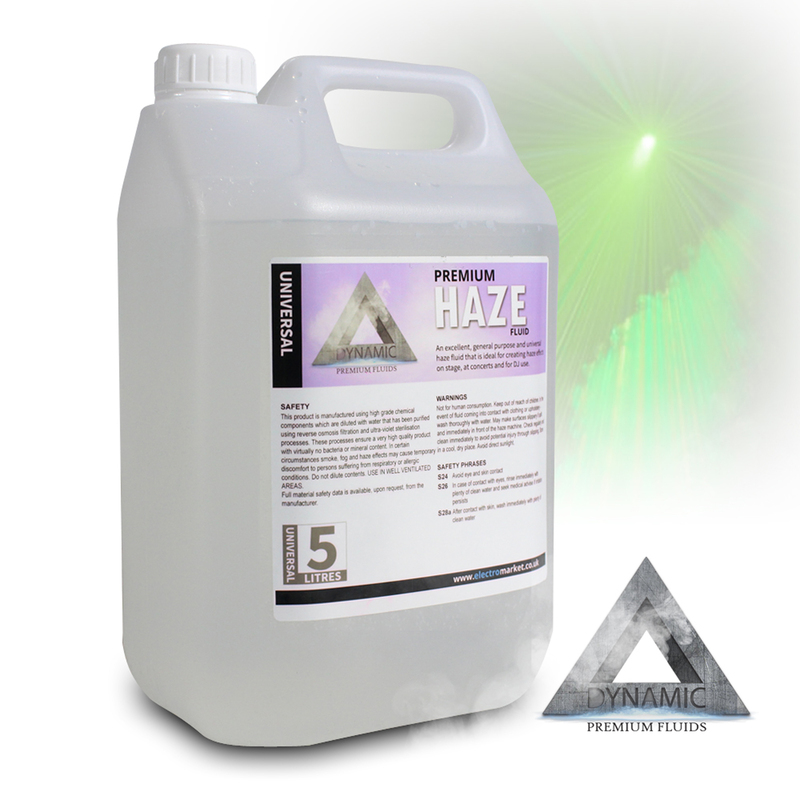 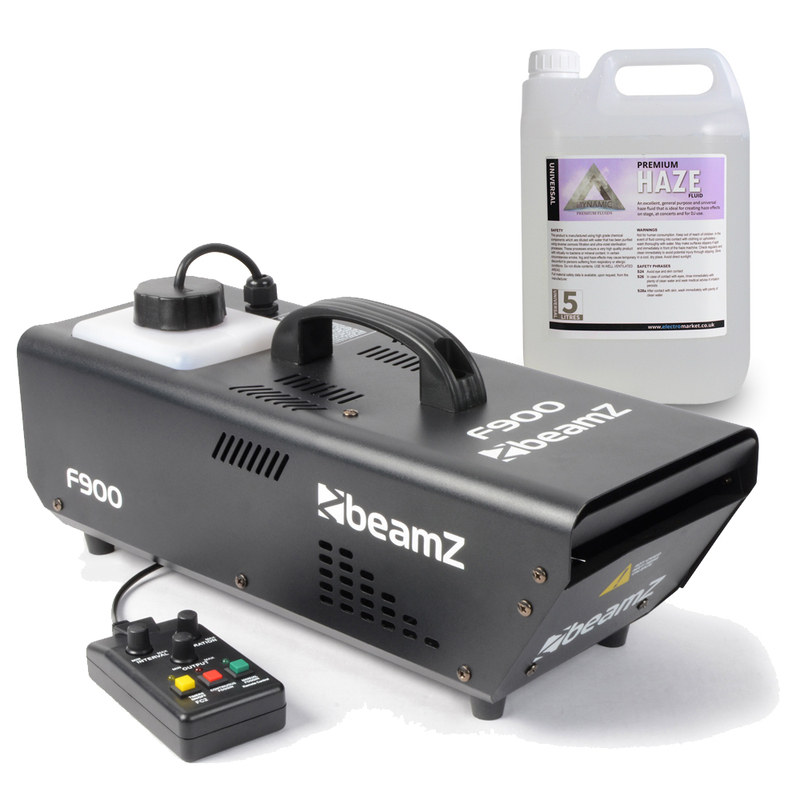 Introducing this fantastic package containing one Beamz F900 Fazer Haze Machine as well as a 5 litre bottle of haze fluid. 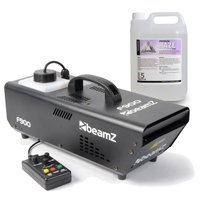 This 900W machine fills the surroundings with a light misty effect, creating an eery atmosphere, complimenting corresponding lighting effects perfectly. 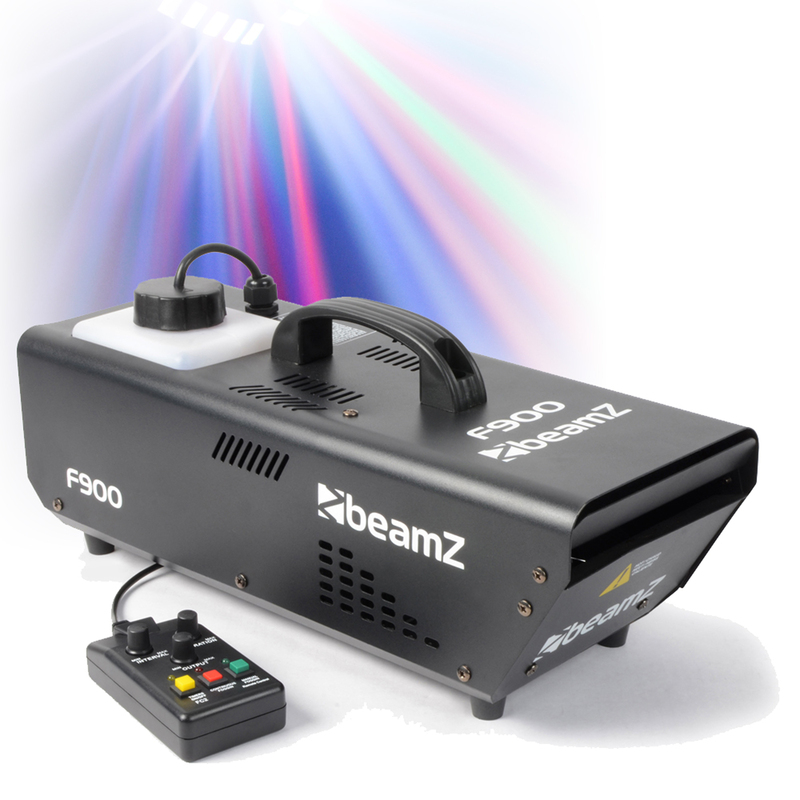 Great for a massive variety of indoor events such as parties, discos, small live stage performances, small theatre productions in schools & halls and events of all varieties as well as making an essential addition to any existing DJ rig.